On December 11, 2018, the Fairfax City Council approved an application submitted by Capstone Collegiate Communities, LLC (Capstone) to allow the development of a 275 unit multifamily building on a six-acre parcel located in Old Town Fairfax. A market leader in the student housing industry, Capstone specializes in the development, construction and management of high quality student housing communities in proximity to major colleges and universities throughout the country. Land Use Attorneys Lynne Strobel and Robert Brant worked diligently with the development team, City officials and the community to obtain approval of a Comprehensive Plan Amendment, Rezoning, Special Exception and Certificate of Appropriateness. 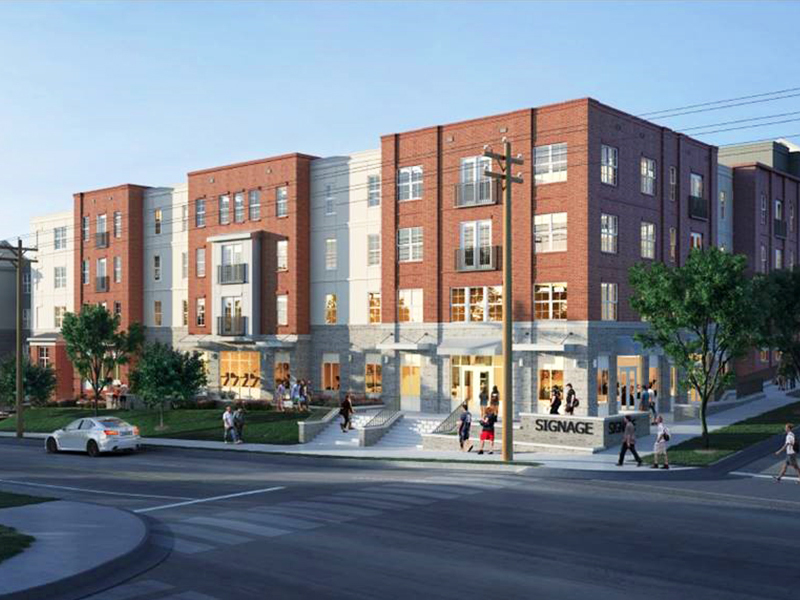 The approvals will allow the development of a purpose-built student housing community, the first of its kind in Northern Virginia, which will be marketed to graduate and undergraduate university students. The fully amenitized building will provide housing for up to 825 students in a secure, professionally managed setting. Due to the continued growth of nearby George Mason University (GMU), which has publicly acknowledged a need for additional off-campus housing options for its students, there is a growing demand for student housing in the region. The proposed development will help to meet that need. The project provides a number of benefits to the City by adding residential density to support the business community in the City, strengthening the relationship between the City and GMU, and promoting further investment in Old Town Fairfax. This approval represents another step towards the revitalization of downtown Fairfax.